We are accepting orders now for summer/fall 2018. 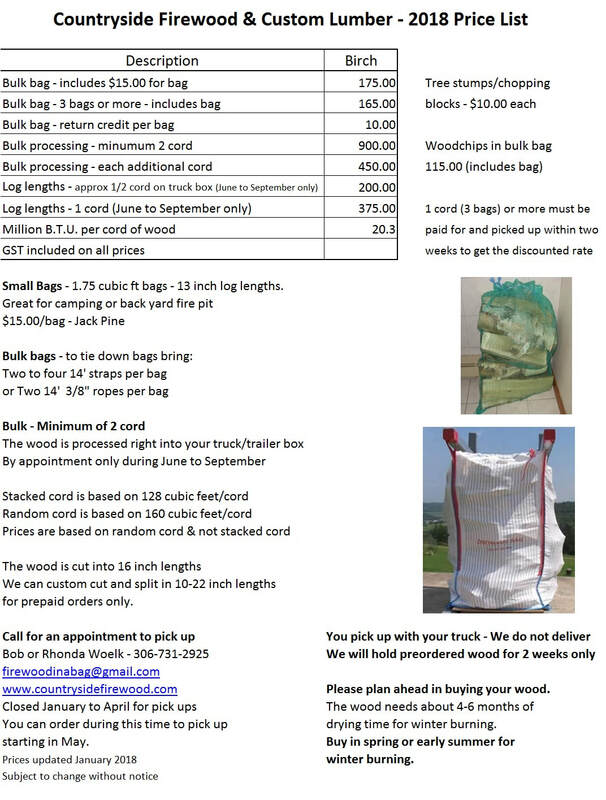 ​Jack Pine mini bulk bags available while supplies last. Bring two to four 14' straps per bag to tie down. We will call to confirm your order. To maintain the efficiency of our equipment we will not process wood below freezing.